The conviction of President Donald Trump's one-time campaign chairman and the guilty plea by his former personal lawyer Tuesday have brought Russia prosecutor Robert Mueller sorely needed relief as political pressure mounts for him to wind up the 15-month-old investigation. The cases of Paul Manafort and Michael Cohen won't end Trump's crusade to tar Mueller's probe as a "witch hunt," a furious effort aimed at undermining any effort to put the US leader on trial. But experts say every win counts for the special prosecutor, with a growing record of success making it more likely he will secure cooperation from future witnesses. With a crucial congressional election looming in November, Trump is desperate to convince voters the investigation is politically biased, in hopes of protecting his crucial Republican majority in both the Senate and House of Representatives. His first reaction to the results in the two cases Tuesday was to again insist that there is no basis to Mueller's investigation. "It doesn't involve me.... It had nothing to do with Russian collusion. We continue the witch hunt," Trump said. Mueller has an uphill battle to prove allegations that the Trump campaign colluded with Russia during the 2016 election, and that Trump has sought to obstruct his investigation. 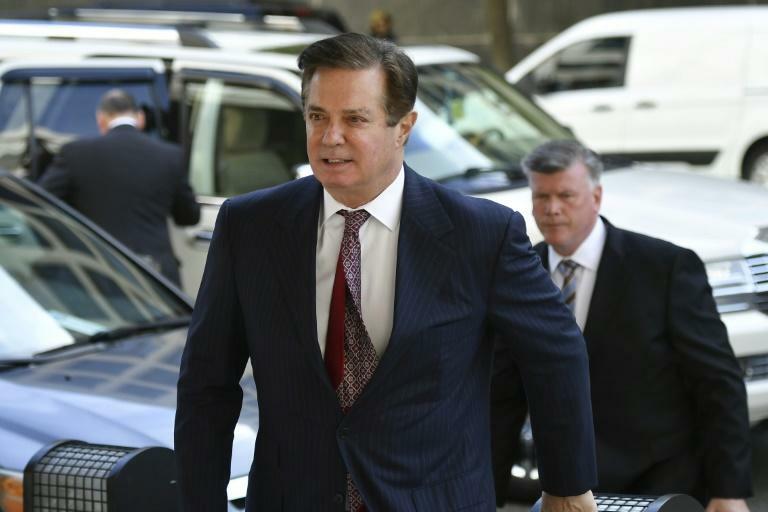 The Manafort case, the first one the Mueller team has sent to trial, saw a jury find the former Trump campaign chairman guilty on eight counts of tax evasion, bank fraud and financial account reporting violations. While the evidence was strong, the case was focused on Manafort's dealings separate to the 2016 campaign and not directly related to Russia. The Cohen case, tried by New York federal prosecutors on a referral from Mueller, also lacked a Russian collusion angle. Cohen pleaded guilty to bank fraud and tax fraud in his personal business, and campaign finance violations related to hush payments to two alleged former Trump girlfriends. In the latter, however, he stunningly implicated the president in a felony, declaring Trump himself had ordered the payments to influence the election. Even if not about collusion, both cases underscored that Mueller is not pursuing frivolous charges, as his critics claim. "Manafort's conviction shows that Mueller's investigation is far from a witch hunt," said Democratic congressman Adam Schiff. "It also shows his campaign and administration were rife with people with a history of unscrupulous business dealings and concerning ties to overseas interests." Both cases showed that Mueller, a taciturn 74-year-old former FBI director, is working quickly and efficiently. Since he was named in May 2017, he hasn't commented publicly on the progress of his operation or responded to the president's almost daily attacks. But he has issued indictments against 33 individuals, 25 of them Russians, and three companies. Five have negotiated guilty pleas on reduced charges, including Trump's former national security advisor Michael Flynn; former deputy campaign chair and Manafort aide Richard Gates; and former foreign policy advisor George Papadopoulos. By comparison, it took special prosecutor Ken Starr four years to produce an indictment against president Bill Clinton in the 1990s. 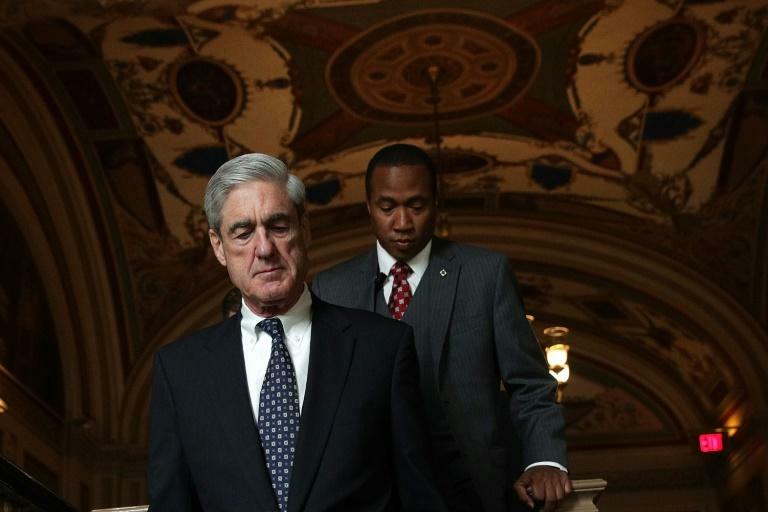 Michael German, formerly an FBI agent and now at the Brennan Center for Justice, said the Manafort verdict was an important step forward for Mueller. "Every win is important building to the ultimate fruition of the investigation," he said. "It's easier to gain cooperation from witnesses or secure guilty pleas if you are staring to build a record of success. It puts more pressure on people to cooperate with the investigation." Even so, the White House says Mueller is dragging his feet. "I think we've been very clear that not only do we, but all the American people, want this to wrap up," White House spokeswoman Sarah Sanders said last week. Former federal prosecutor Renato Mariotti says there is a constant, implicit threat from Trump to summarily end the probe -- even if that would spark a constitutional crisis. "Mueller has to be concerned about whether he'll be permitted to finish his investigation," he said.